I’ve been a New Hampshire web designer since 2002, aiming for clean, “search engine friendly” designs that are eye-catching, functional and easy-to-navigate. Most of my clients are small business owners. Many admit, right away, that they are not computer savvy. I strive to be patient and helpful during the web design process. My philosophy is that a website should look uncomplicated and be enticing. The colors should complement each other while the graphics blend subtly into the theme. Content is the most important part of a website in my opinion. So I concentrate closely on helping my clients fine-tune their web copy. Each website is unique and treated as if it were my own. I create mobile-friendly websites, utilizing responsive web design. This is a technique web designers use to create flexible page layouts that change depending on the browser screen size of the visitor. A responsive website automatically changes to fit the device you’re reading it on. As the screen gets smaller, the content shifts to the best display for that screen size. Responsive design provides a better website experience. It also eliminates the need for businesses to have multiple versions of a website. In my spare time, I write blog tutorials to help beginner web designers and small business owners understand the Internet, WordPress, blogging, web design and social media a little bit better. I like to add a dash of humor, at times, to make my tutorials more enjoyable to read. 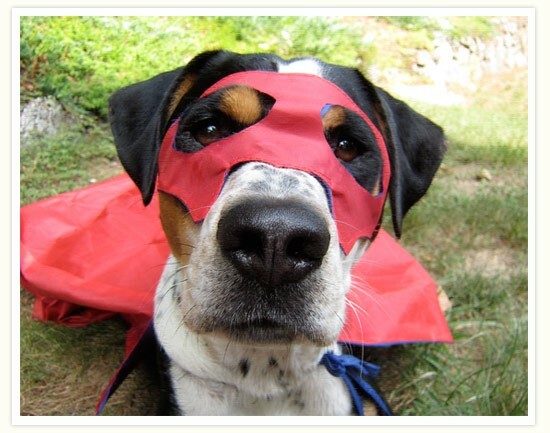 I’ve even included my dog as a “social media superhero” once because it was an incredibly fun way to write the tutorial.